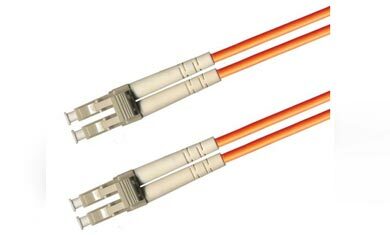 Fiber optic patch cords are fully compliant with international standards and are with very good quality and competitive prices. Multimode fiber optic patch cord has a large-diameter core that is much larger than the wavelength of light transmitted, and therefore has multiple pathways of light-several wavelengths of light are used in the fiber core. 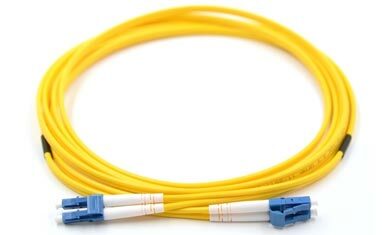 Multimode fiber optic patch cord can be used for most general fiber applications. Multimode: Riser-rated simplex or duplex zip cord multi mode cable. 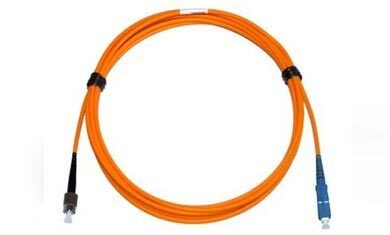 Standard 50/125 μm and 62.5/125 μm orange jacket cable. Multimode: < 0.2dB maximum loss. LO Multimode: < 0.2dB maximum loss. Single-Mode: < 0.2dB maximum loss. Single-Mode: For PC polish, greater than 50dB. For UPC polish, greater than 55dB. For APC polish, greater than 65dB. The patch cords shall meet an optical return loss equal to or better than -25dB per mated pair for PC polish, equal to or better than -55dB for UPC polish, or -65dB for APC polish. Insertion loss shall not exceed 0.2dB per mated pair for both multimode and single-mode. 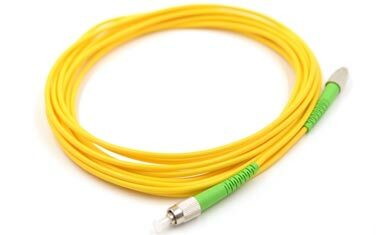 The patch cords shall be available in 1, 2, 3, 5 and 10 meter lengths. The patch cords shall be compliant with TIA-568-C.